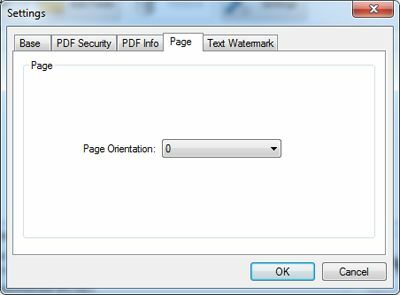 Combine Documents into one PDF file: Combine all files which in the file list into one PDF file. 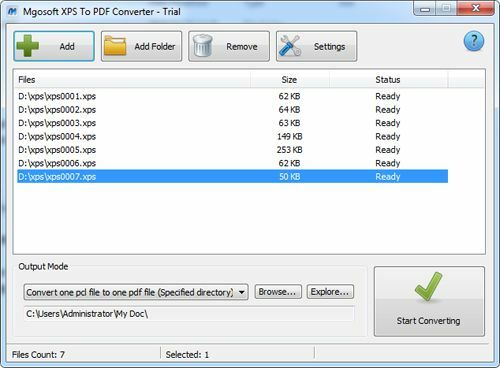 Convert multiple Documents to multiple PDF files: Convert to PDF files for each xps file. 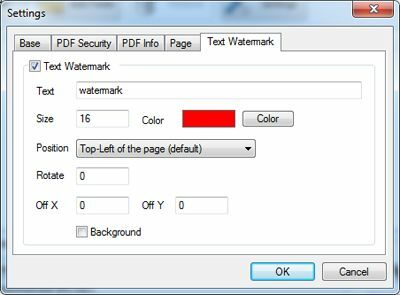 PDF/A: To create a PDF/A document. 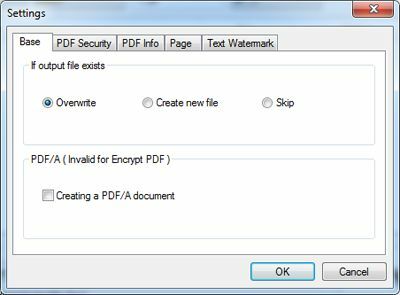 Encrypt PDF: Set security options to the generated PDF file. 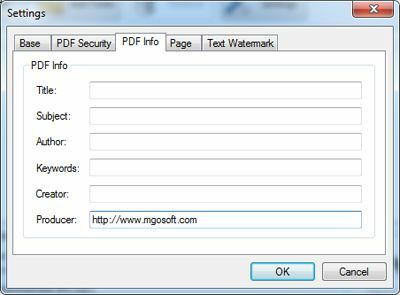 Document Open Password: Password Required to Open Document. Permissions Password: Password Required to Change Permissions and Passwords. 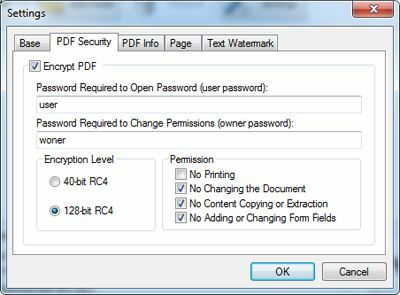 Level: Encryption Level, 40-bit RC4 (Acrobat 3.x, 4.x), 128-bit RC4 (Acrobat 5.0). Permission: Restrictions print, copy, modify. Page Orientation: "0, 90, 180, 270".